A publicity shot for his 2002 book, This is True: Platform Shoes Claim Another Life. The tom, Clancy, really did love to stand or lie on the back of Randy’s office chair while he works. Randy Cassingham is a writer, publisher, and photographer primarily known for online newsletters — he is likely the “inventor” of for-profit entertainment email publishing. Publications such as the University of California’s Online Journalism Review and the newspaper industry journal Editor and Publisher note Randy is perhaps the first person who figured out how to earn a living publishing content on the Internet with the first for-profit email entertainment feature. His flagship column This is True, started online in 1994 (“The dark ages of the Internet,” Randy likes to say), is one of the largest subscription features online, with readers all over the world; it’s also carried in some print publications. His newsletter the True Stella Awards was turned into a major book based on the web site, published in 2005 by Dutton — one of the rare online authors to turn a web site into a six-figure advance from a New York publisher. His “thought-provoking entertainment” is also reflected in his meme-a-day site, Randy’s Random. Randy has a degree in Journalism (Humboldt State University, Arcata, California, 1986), but he has never had any interest in being a conventional news reporter. His unbounding sense of curiosity has led him to explore a number of careers, including commercial photographer, freelance writer (including magazine articles, technical articles, fiction, and screenplays), editor, publisher, ambulance paramedic, search and rescue sheriff’s deputy, process engineer, business consultant, software designer, and public speaker. It all added up to a true calling — writing and publishing entertaining content that tends to make people think. Computers came early into Randy’s life: 1971, in a Menlo Park, Calif., middle school. Despite the primitive nature of computers at that time, he took to them instantly, and was one of the small band of “nerds” who stayed after school to figure out how to do things with them. 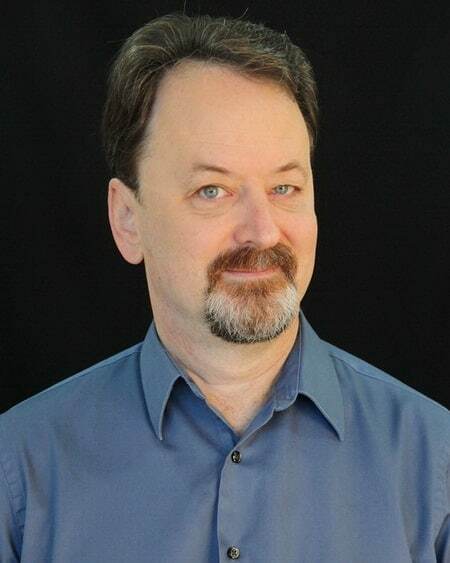 Randy is also one of the leading experts on the ergonomic Dvorak keyboard, and has literally “written the book” on the subject; he was also a technical adviser to the American National Standards Institute’s keyboard standard committee. Born in Burbank, California, Randy attended public schools in Burbank through the fourth grade. He moved with his family to Portola Valley, California, where he attended schools in Ladera, Menlo Park, and Redwood City, and went to college at Humboldt State University in Arcata, California. A rare photo of Randy “on the job” in his ambulance days. This was taken in July 1983 by a friend in Arcata, Calif., who happened by an accident he was working. The lady on the right is the victim’s mother, who heard the crash and ran down to the intersection to find her daughter (not-too-badly) injured. As a medic, Randy worked for several private ambulance companies in California, starting in San Mateo and then moving ever northward — San Francisco, Marin County, and Arcata. He was also a search and rescue deputy with the Humboldt County Sheriff’s Department for several years, where he served as the team’s public information officer. While he very much enjoyed the North Coast, it was not a good place to establish a career. After “hitting the top of the state”, Randy returned to the Los Angeles area where he worked at NASA’s Jet Propulsion Laboratory for ten years, starting with the Space Station Project. He published a variety of studies by the Space Station Utilization Team, and his “tell it like it really is” weekly reports on what was going on in the Program circulated as high as the White House. For several years Randy was the “tech transfer” officer for JPL’s Mobile Satellite Communications projects; editing and publishing the technical journal SATCOM Quarterly. Among other tasks, he also analyzed and reviewed information system technology testbed project reports for the flight project mission operations office, and analyzed and published the Lab’s “strategic vision” of future information systems. Randy was also the “staff generalist” for JPL’s Intelligent Vehicle Highway System work, and wrapped up his NASA stint by serving as a software and process engineer for the Lab’s Just-in-Time materiel acquisition project. He moved to Colorado in 1996 to pursue online publishing full time, centered around This is True. Randy in a mockup of the Space Station’s “cupola”, which was intended to be the control station as shuttles and cargo vehicles came in for docking. (“I look like I was caught trespassing by a security guard!”) The photo was taken at NASA’s Ames Research Center in Mountain View, Calif., in about 1989. In May 1999, Randy expanded his online publishing with HeroicStories, bringing true stories of real people helping others to readers in scores of countries. (HeroicStories was spun off to a new publisher in 2003.) In September 2002, the True Stella Awards debuted, bringing some legitimacy to the debate over ridiculous lawsuits. In 2000, he created the Get Out of Hell Free card as a response to a reader’s curse. It’s a true offline viral phenomenon, with more than two million cards sold — in addition to the thousands he has given away. Randy and his wife, Kit, are both lifetime members of Mensa. They live in rural Ouray County, Colorado. Randy re-certified as an EMT, and he and his wife both are volunteer medics in the Ouray County Rural First Responder Corps, with Randy serving as the Corps’ captain. While at work, he and his wife enjoy the views of two mountain ranges from their home office. If you knew someone named Randy Cassingham in the past, it’s most certainly the same person — he isn’t aware of any other person with that name. An old friend? He’d love to hear from you. For contact information, see the This is True web site.